This site is geared toward The Sims 2 content and will feature lots of original furniture as well as meshes for other content creators. I am also writing up some tutorials which will appear when the site is ready to launch in full on April 4, 2005. In the meantime, I'll be adding new Sims 2 recolours every couple of days. Please note that the Sims 2 objects on this site are in the beta stage. This means that you download and use them at your own risk. It is recommended that you backup your Sims files before installing any new content. That said, I have tested these items in my game and they work fine for me. All items work in University. 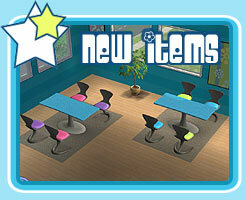 I have lots of great objects available in the Sims 1 section. 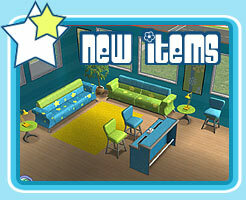 I no longer make objects or skins for the older version of The Sims but have kept the furniture online as there still seems to be many Sims 1 players! © Copyright 2005. Randomleft Sims. All Rights Reserved.